As we ring in the New Year, there is a reason for hope in Pennsylvania – the number of abortions in the state decreased 7 percent. The year-end report shows nearly 2,500 fewer abortions occurred in 2013 than in 2012. The total of 32,108 is the lowest number on record to date. There were also fewer live births in Pennsylvania in 2013, but the decrease was less than 2 percent. I wish statistics could prove that respect is growing for the dignity of human life in the womb, but numbers alone cannot explain the downward trend in abortions. We can see that more mothers are choosing life for their babies, but the statisticians did not ask them why. Even if they did, would the average person understand what human dignity means? The dictionary defines dignity as a quality of being worthy of honor or respect. Being worthy means something is good and deserving respect, praise, or attention; having enough good qualities to be considered important or useful. If you have ever watched proud grandparents meet their first grandchild, you have seen the kind of praise and attention, and indeed the dignity and respect, that all human life deserves. The presence of human life makes visible the invisible reality of God’s holy presence. Every child conceived reflects God’s infinite love, his perfect justice and his boundless mercy. This is the foundation of our zeal for protecting human life from conception to natural death. Catholic teaching affirms that every human being has inherent worth simply because he or she is human, regardless of characteristics. The church also affirms that human life begins at conception. The embryo is a new and unique life that must be recognized as a human being who possesses the rights and inherent dignity of a person. Most importantly, this developing human person possesses the right to life. If God is worthy of our honor and respect and every human person is made in his image and likeness, then we all have his dignity, no exceptions. Downward trends in abortion are a good sign. Maybe our culture is beginning to understand human dignity a bit more. Despite this encouraging decrease, the fact that the lives of over 32,000 babies were destroyed through abortion in 2013 reminds us that much pro-life advocacy needs to be done. By the mercy of God and determination, perhaps one day we will ring in a New Year with a 100 percent decrease in abortions. 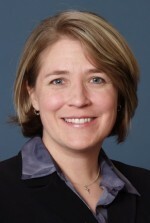 Amy Hill is communications director of the Pennsylvania Catholic Conference – the public affairs agency of Pennsylvania’s Catholic bishops and the Catholic dioceses of Pennsylvania. Add your Catholic voice to public policy issues by joining the PCC’s Catholic Advocacy Network. When the Catholic Church as an institution, in both word and deed, makes abortion an unavoidable personal conscience issue to all Catholics, without exception, then and only then will abortions begin to go down for the right reason. Because abortion is pre-meditated murder and an abomination to God.